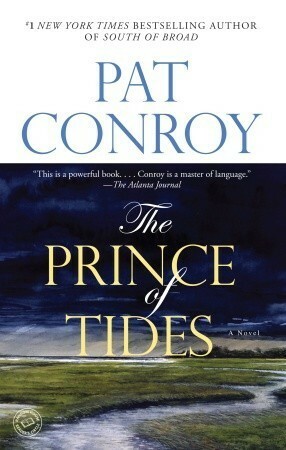 #bookeveryweek The Prince of Tides by Pat Conroy. This is a book I've heard about off and on for many years, but had never gotten around to reading. The little bits I'd picked up from seeing ads for the movie had me thinking it was some kind of Nicholas Sparks romance thing (not my cup of tea). But, then my book club picked it. It wasn't a Nicholas Sparks thing, but I'm not sure what it actually was. There is some very powerful writing in this book, but it I found it really uneven and in need of a serious culling. I have a feeling it would be stronger if it were a third shorter. After a while, it felt like a kitchen-sink book: everything was in there! The history of the Wingo family was tragic and bizarre, but also sublime and magical. There's a bit of a feeling of magical realism, especially concerning the tiger and the dolphin. In other ways, the book felt more realistic, exploring the strange avenues of the community: white southern children making their peace with the first ever black person to attend their school, a poor woman without connections aspiring to connect to higher society and join the Junior League, the religious grandfather who did his crucifix walk each Easter. A string of interesting stories and characters, but held together by the tenuous thread of a man telling family stories to his sister's psychiatrist, whom he eventually also had an affair with. Tom Wingo, our narrator, was interesting most of the time, but pedantic and whiny sometimes, too. I found his voice inconsistent and his stories contradictory. That might have been the point, but it didn't feel like that, reading. It felt sloppy. Lots of people who love this one seem to love it for capturing something about The American South. I've been a Midwesterner living in the South for twelve or so years now, not nearly long enough to qualify as a Southerner. So maybe that's why it doesn't speak to me like it does to other I know. There's love and poetry in the appreciation of the countryside. There's some ambivalence, which I appreciate, since the events of the book left plenty for the characters to have mixed feelings about.